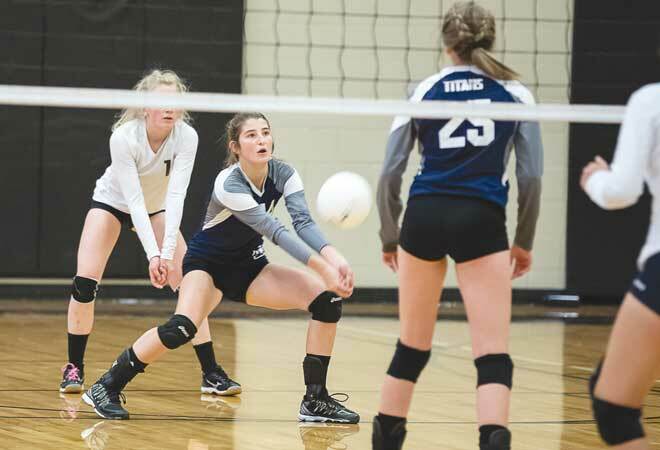 Things seem to be clicking for the Crested Butte Titans volleyball team as they knocked off a mid-range opponent from their league in straight sets and then battled against some bigger programs in a tournament, winning two out of four matches in a single day. The Titans hit the road on Friday, August 31 to face the Custer County Bobcats. 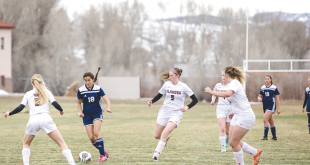 The Bobcats are in the mix every year in the middle of the standings and can hand the Titans a loss if Crested Butte lets their guard down at any moment. On Friday, the Titans were on point nearly each and every moment of the match, as they took down Custer County in straight sets, 25-17, 25-15, and 25-19. Sophie Hall led the team in assists, Ellia Pannier proved to be the top offensive player of the match, with Audrey Griffin leading the team in kills, and freshman Sami Lakoski finished as the Titans’ leading server. The Titans got back to Crested Butte late Friday night and had to wake up early Saturday morning for a tournament in Gunnison. McNallie was looking forward to the tournament as it offers her players new opponents and new situations to undertake. Sleepy players and tired legs plagued the Titans in the opening match of the day at 9 a.m. as they fell to a talented Dove Creek team in straight sets. The Titans regrouped for their next two matches taking down Mancos in straight sets to wipe the slate clean from their opening match loss. The Titans then dug deep to eke out a hotly contested win against Olathe. The Titans’ resolve was tested against Olathe with some on and off court distractions causing spats of chaos but Crested Butte used the opportunity to step up their game and battle to the win. “The girls got mad and it brought out some angst and they wanted to take Olathe down,” says McNallie. The win earned them second place in their bracket and they advanced to face the number one team from the other bracket, Salida. 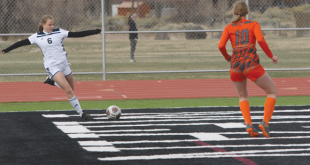 At this point the four matches in the past 20 hours had taken their toll and the Titans fell to Salida. Crested Butte will now get their toughest test of the season as they head to Center on Friday, September 7 against Center and Del Norte. Del Norte is sitting at the top of the league standings with an undefeated record.